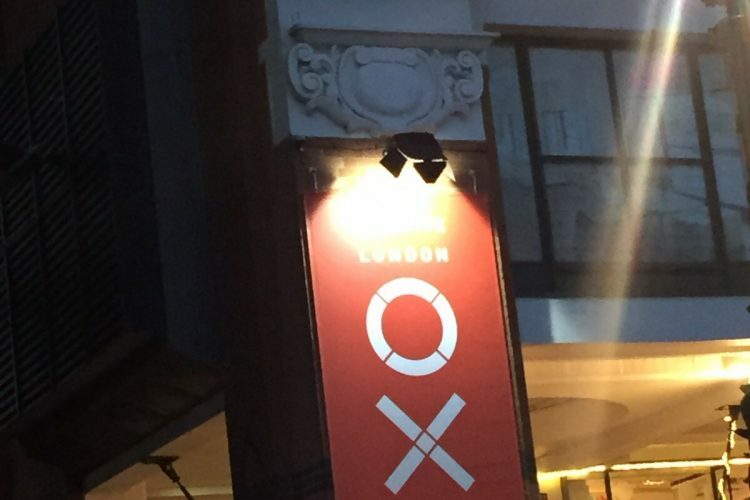 Hosted by the iconic Old Truman Brewery in East London and curated by Lisa Gray founder of FLUX, I was thrilled to be selected to exhibited at this much anticipated exhibition. 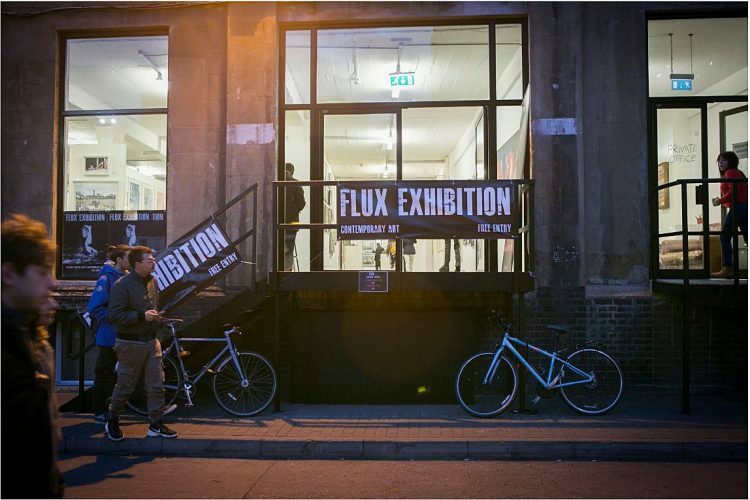 Flux represents a rare opportunity to gain access to a diverse group of 140 chosen artists, on the path of being the big names of tomorrow. 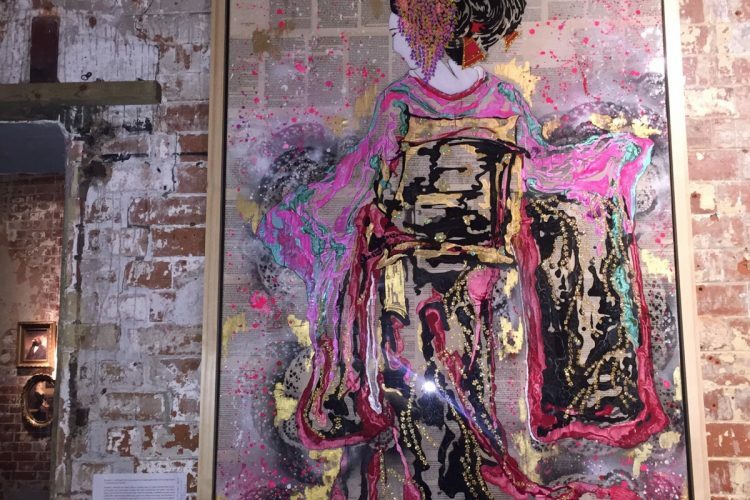 FLUX celebrates dynamic artists on the precipice of wider accolade and fame. 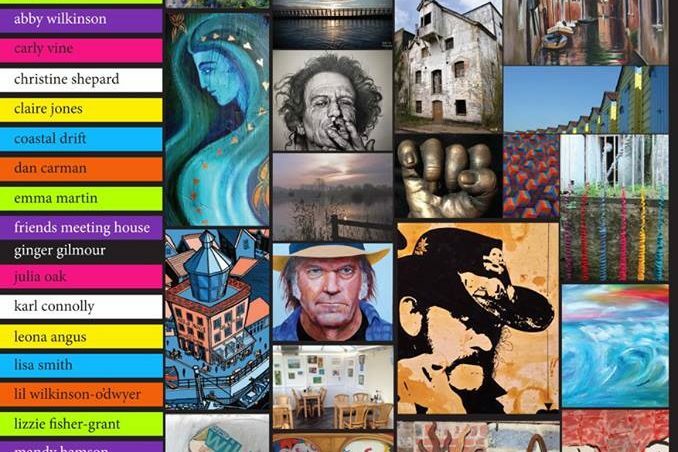 An amazing 5 days experience, where 140 artists were showcasing their incredible art. I met some truly talented artist, a great place to be inspired. A successful show and very pleased to have sold at this too. 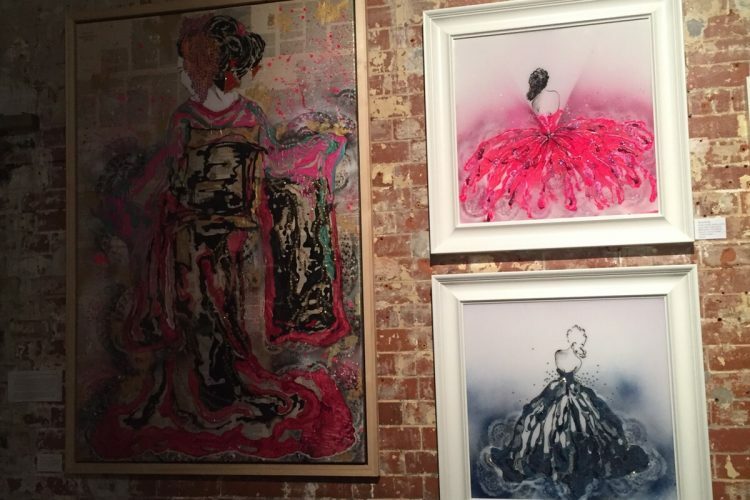 Thank you very much to those that attended and made the exhibition such a success. It was a pleasure being involved in the Littlehampton Arts Trail. An annual event, Littlehampton Arts Week opens with the much heralded Love Festival on Caffyn's Field. Setting the scene for eight days of art and music based events for all ages and abilities and tastes. 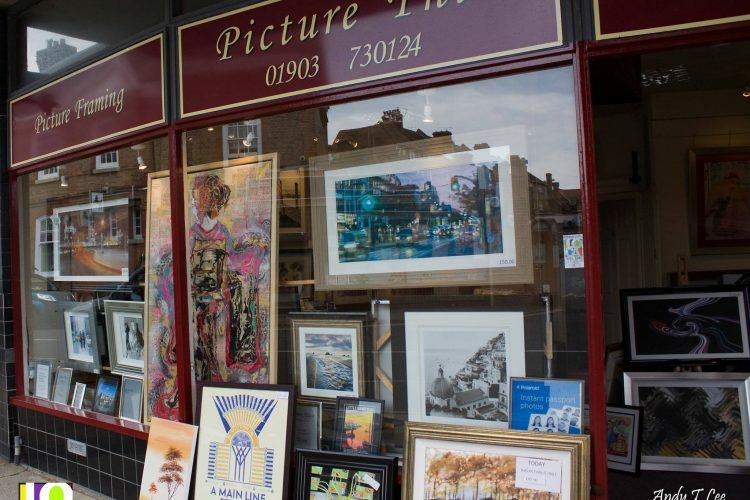 Also during this period Littlehampton Arts Trail opens, based in twenty five business or public building locations around the the town. The Trail on one hand is designed to match the exhibiting artist with a conducive environment for their art and on another is designed to show the best of what Littlehampton has to offer those visiting the trail whilst giving them an opportunity to view and purchase some excellent art. I was invited to exhibit by Staci Mendoza-Quinn one of the main organisers of the event along with another twenty six artists. 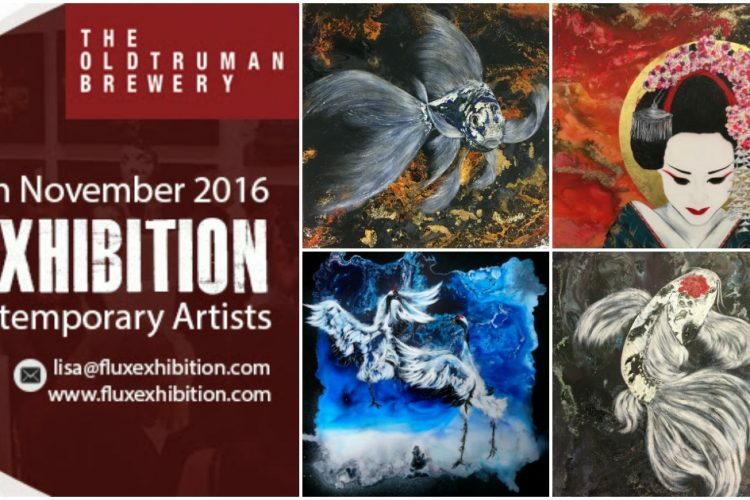 Showing their talent at 25 venues throughout Littlehampton, all displaying an array of artwork at different stages of their careers. From The Boathouse in Littlehampton Marina west of the River, to Mewsbrook Park cafe on the Rustington border, there is something for everyone. 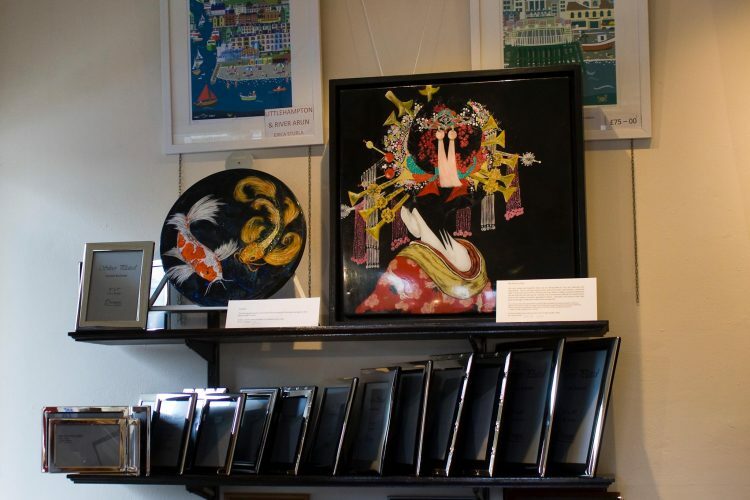 I exhibited in a local gallery in Littlehampton town centre itself owned by the lovely Cilla Millen. My painting "Serene Beauty" had pride of place in the window and I thrilled to say that I sold this piece during the trail. 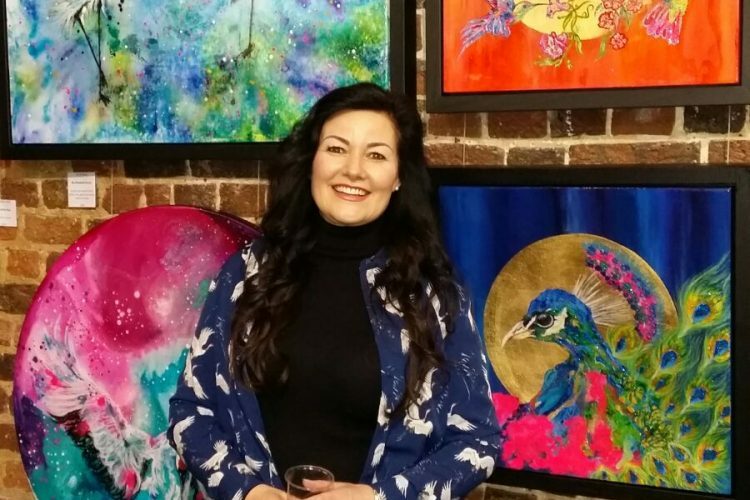 Thrilled to exhibit again with Leila Bibizadeh Exhibit Here's founder, for the UNLEASHED Exhibition which featured more than 100 wild and innovative artworks that push the boundaries of raw talent. 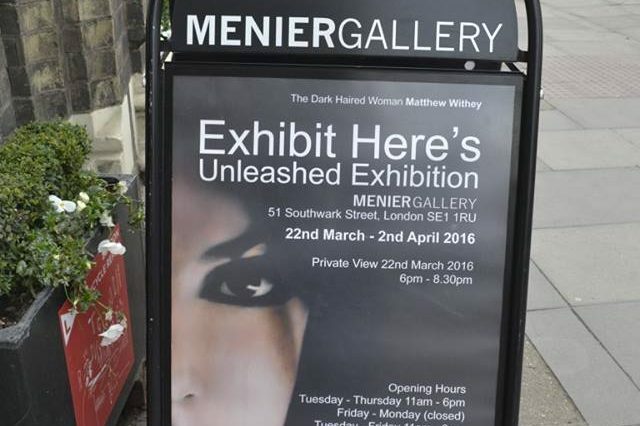 Held at the prestigious Menier Gallery, London, situated within the historic Menier Chocolate Factory. 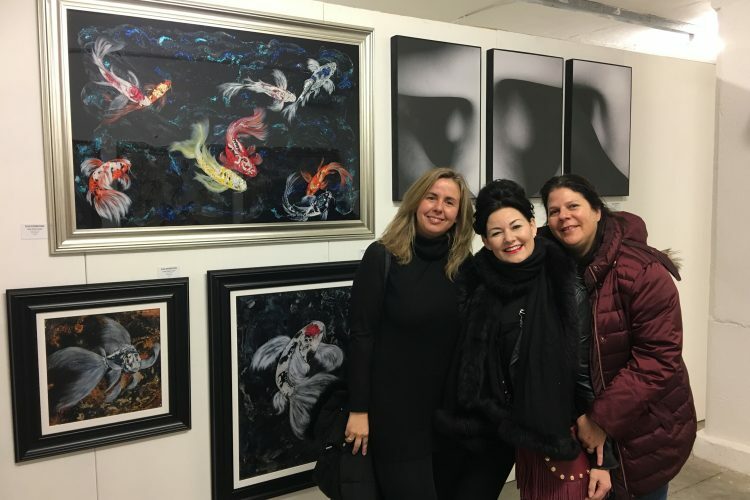 A amazingly well curated exhibition, where Leila showed off my work perfectly resulting in two sales of my large Red Crowned Crane original artwork pieces. 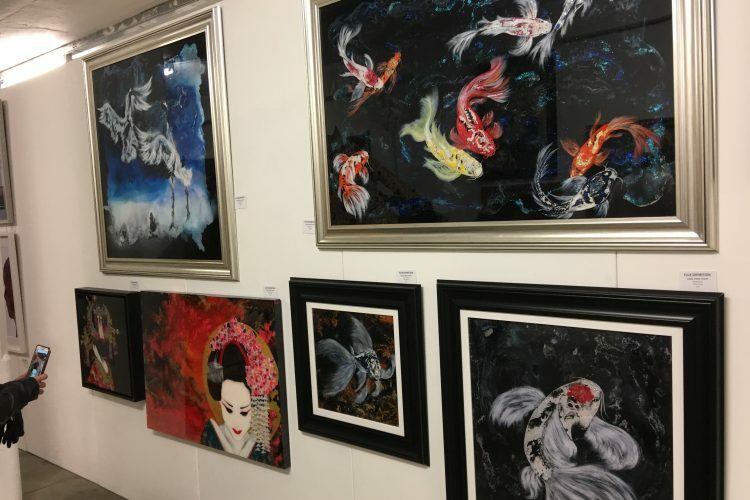 Exhibit Here works tirelessly to provide regular exhibition opportunities throughout the year in prestigious galleries and venues. 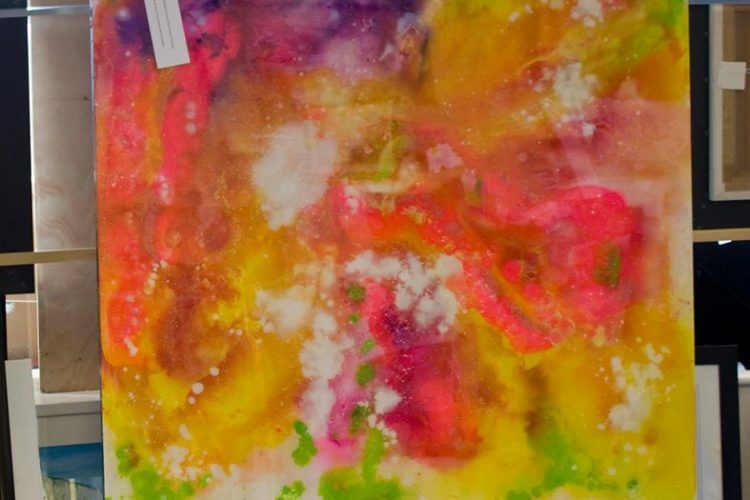 The exhibitions not only create a platform for artists to showcase their work, but they are also great networking events for meeting like minded creative's. 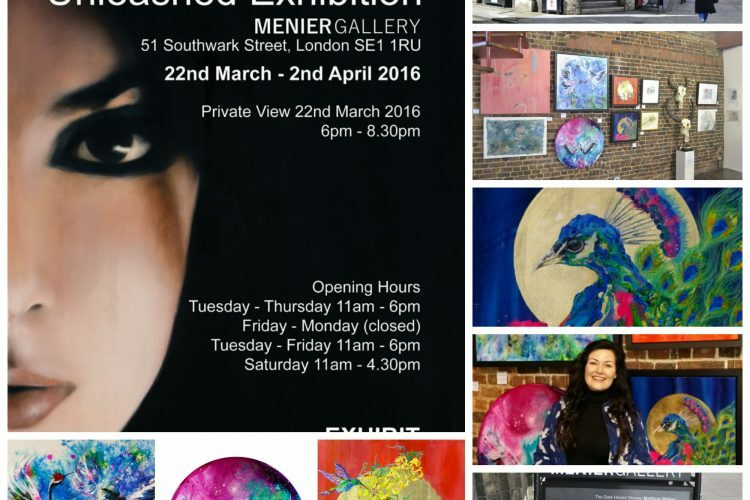 My first time exhibiting with Leila Bibizadeh from Exhibit Here. 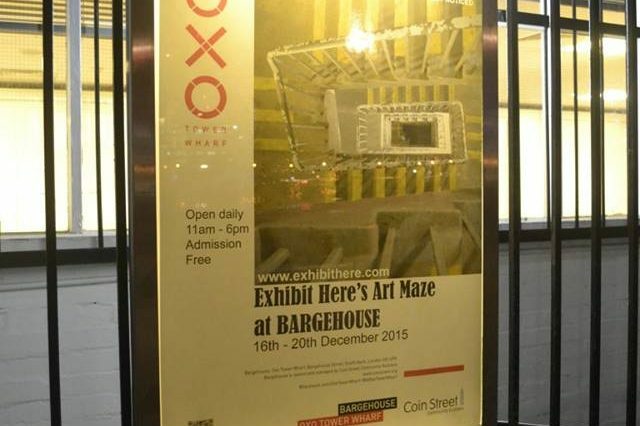 I was trilled to be selected as one of the artists to show at the Art Maze Exhibition, Bargehouse, Oxo Tower, London. 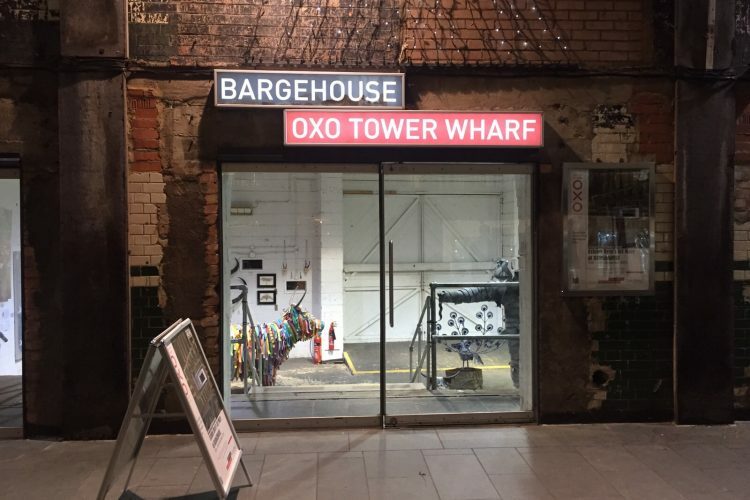 Following on from the huge success of the last show, I was very excited to be showcasing my work along with more than 100 contemporary artists who transformed the iconic and atmospheric building into a haunting maze of art for one magical week just before Christmas. 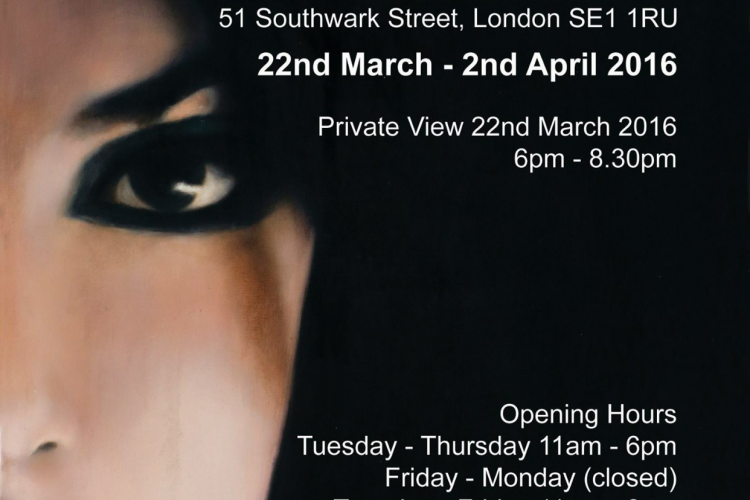 The Private View was a huge success with a great deal of interest in my work. I was thrilled that I sold one of my pieces there.